For run-of-the-mill illnesses, such as sore throat, allergies, or the flu, urgent care centers can offer a cheaper alternative to an emergency room visit. But the centers overprescribe antibiotics, including for conditions where they are not needed, at an alarming rate, a new study has found. Overall, 39 percent of urgent care visits in the United States lead to antibiotic prescriptions. For cases of respiratory illness, in which antibiotics are not recommended, close to half — 46 percent — of urgent care patients were prescribed them anyway, according to the retrospective analysis published Monday in JAMA Internal Medicine. At emergency departments, 25 percent of patients with the same illnesses received antibiotics, while retail health clinics, such as CVS Minute Clinic, had the lowest rate, 14 percent. Daniel Mueller, an infectious disease specialist at Temple University's Lewis Katz School of Medicine, said, "Most people will clear the viruses on their own over time." He recognizes that patients seeking treatment at urgent care centers for viral pneumonia, bronchitis, and the flu are desperate for relief. Medical staff should acknowledge that suffering, offer care for symptoms such as coughing and pain, and explain why ineffective prescriptions won't help, Mueller said. "It takes time to have that conversation and to empathize with them," Mueller said. "It can be very difficult — on both the patient and physician's side." Kelly Zabriskie, infection control director at Thomas Jefferson University Hospital, believes part of the problem may be psychological. "Patients going to an urgent care expect to leave with something in order to justify their visit and money spent," she said. "This leads to overprescribing to satisfy patients." The misuse of antibiotics poses a serious public health threat. "Antibiotics are a really unique class of medication because the more you use [them], the less likely they are to work in the future," Mueller said. The loss of effective antibiotics is "a major concern," Mueller said, both for individual patients and for the population at large. "Antibiotics are one of the best discoveries in modern medicine. But you have to be careful, because the bacteria are smart, too, and they can overcome." Antibiotics only work on vulnerable bacteria. When antibiotics are inappropriately prescribed — to fight a viral infection like the flu, for example — our microbes adapt, which can render them invulnerable to future applications of the drug. Deadly drug-resistant "superbugs," such as MRSA, are already stalking some U.S. hospitals because of widespread antibiotic misuse. In recent years, hospitals have been required to develop "antibiotic stewardship" programs as part of their accreditation. Such programs, said Mueller, protect patients from the harmful side effects of antibiotics, including stomach cramping and nausea. Stewardship programs also help ensure the long-term effectiveness of antibiotics. How long can a given antibiotic remain effective? "It depends on how careful we are," Mueller said. Antibiotic stewardship is relatively new and "still something that's growing," Mueller said. Over time, it will expand into more outpatient settings, such as urgent care and retail health clinics. The study examined health-care claims from the Truven Health MarketScan Commercial Claims and Encounters Database, which includes nationwide data for patients under 65 with employer-sponsored insurance. The study did not include data from Medicare, Medicaid, or uninsured patients. 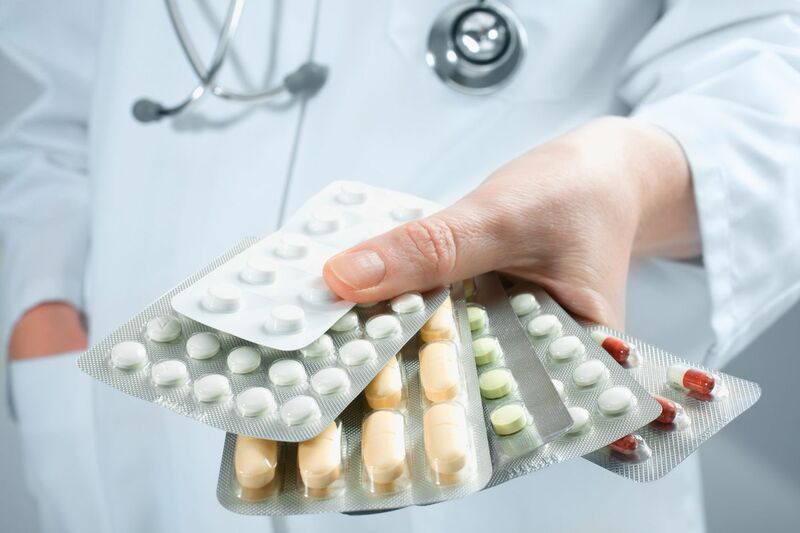 The authors, from the Centers for Disease Control and Prevention, University of Utah, and the Pew Charitable Trusts, encourage the growth of antibiotic stewardship programs at more outpatient settings. At urgent care centers, they said, such programs are "urgently needed."